I have always considered evergreens (conifers) to be the backbone of a garden as they provide both year round presence and interest. They vary greatly in size, shape and colour, offering a vast array of textures, forms and even fragrance when planning a garden to have appeal in every season–especially winter. 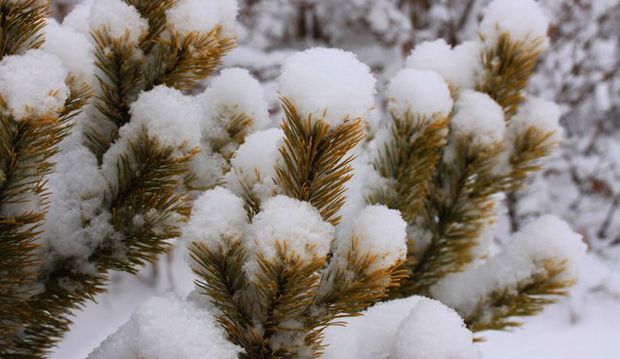 Like many, I too love the beauty of a fresh snowfall on evergreens. There is a real magic to Mother Nature’s blanket of white over the garden. Above Pinus mugo ‘Aurea Fastigiata’ (golden upright Mugo Pine) on the south side of the President’s Choice Show Garden shines against the fresh white topping. Although the recent rain and warming temperatures of the past few days have made the views of this seasons first snowfall a memory, I am certain we will have the opportunity to enjoy such sights again soon. 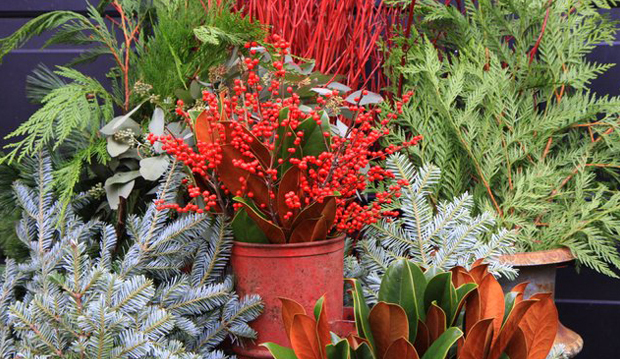 One bonus of the warming temperature, at least for the first part of this week, is for those of us who have not had the opportunity to prepare our winter container arrangements with an assortment of fresh evergreen boughs. We have another chance to do so! For tips on preparing your winter containers please visit a recent Globe and Mail article written by Lorraine Flanigan, How to create a beautiful holiday container for your front porch. Just in time for your holiday decorating, we are pleased to offer a selection of seasonal evergreens and branches at our Holiday Open House this Thursday evening. White Pine, for the dark green, fine textured needles on arching branches. And don’t overlook the always yummy fresh fragrance. Silver Fir, the rigid branches are cover with rich dark green needles that offer a beautiful contrasting silver underside. Also, very fragrant. 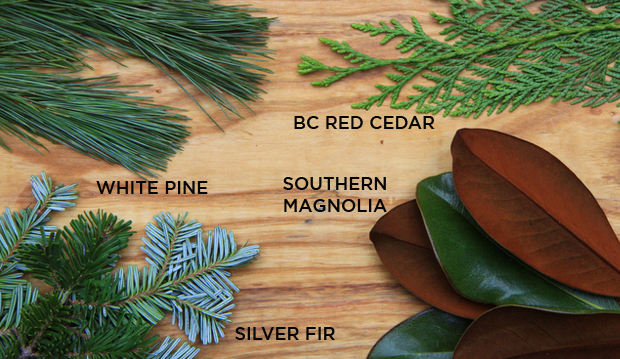 For one night only, these and other select evergreen bundles are 7.99 each, mix and match, 3 for 18.99* no further discount applies. Please shop early for the best selection. Dogwood branches and Ilex Berries are not included in this promotion, however are subject to the 20 per cent savings on the evening of the Open House.